CPAs are in the thick of a revolution. This sentence isn’t an oxymoron. When it comes to data, an increasing number of accounting firms are moving critical business functions to the cloud. Cisco says even the most traditionally conservative industries – from finance and banking to accounting – are finally joining the rest of the world in the cloud. The Cisco Global Cloud Index Forecast says 83 percent of all data center traffic will move to the cloud in the next three years. That’s a big migration that has CPAs around the country packing their digital bags and heading north to the cloud. The Journal of Accountancy reported that 90 percent of recently surveyed CPAs believe that providing digital services to clients will help their firms evolve and earn more business. Currently, many accounting firms have not adopted to the latest models of Software as a Service (SaaS), which has emerged as a secure, low-cost alternative to on-premise architectures. The American Institute of CPAs has ranked web applications and cloud technology a top initiative in their annual list of technology initiatives. Using a cloud service provider such as Microsoft Office 365 helps CPAs offer clients flexible services that build value. 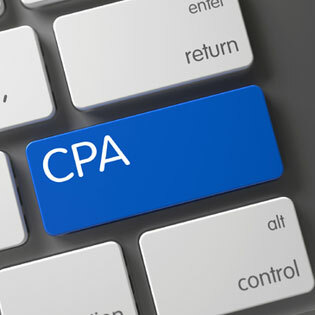 One great example of a SaaS provider is cpa.com. They advocate for turning the traditional accounting business model on its head by embracing cloud-centric training and support for CPAs seeking to leverage digital technology to serve their clients. Vendors like Thompson Reuters, Intuit, and Wolters Kluwer, have been offering SaaS solutions through the cloud for a number of years. Cloud mobility allows CPA firms to implement the latest sophisticated accounting and enterprise resource planning software. Today, even small to mid-sized firms have access to the same tools as enterprise organizations. These tools allow CPAs to share encrypted files safely with their clients. In addition to data encryption, cloud service providers offer automatic backups and multiple redundancies across platforms. Cloud scalability means that CPAs can increase their services as they need them (like during tax season), or scale back in the off-months. Low Cost because cloud service providers offer services via a subscription, which eliminates the exorbitant up-front costs usually associated with software licensing, hardware installation, and maintenance agreements that come with more traditional arrangements. Mobility means that accountants can travel anywhere and still work securely in the cloud. Secure access to office services such as calendars and email, or client files, come standard with cloud service providers. Security can be monitored by a managed IT cloud service provider that offers data encryption, firewalls, intrusion detection, authentication, and general network supervision. Managed IT cloud service providers have been helping CPAs migrate to the cloud. If your CPA firm is ready to join the millions of businesses taking advantage of cloud services, TOSS C3 can help. As the next step in your cloud migration, download the white paper: Managed IT Services For Small Businesses.